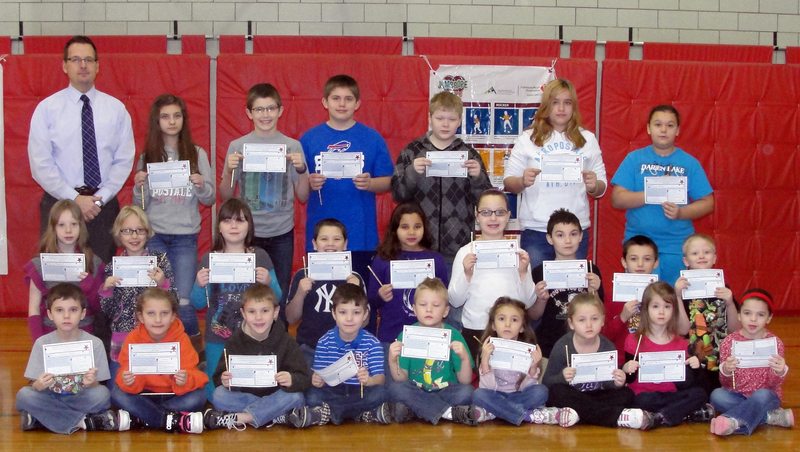 Fairgrieve Elementary School students selected for representing the behavioral expectation of Being Respectful were recently honored during the school’s Morning Express program. Todd Terpening is pictured with the students selected at an awards ceremony in January. Pictured are: Kindergarten students Mya Carroll, Shyann Smith, Taylor Hull, and Alyssa Spicer; first grade students Dominick Reidell, Jaime Deleon, Logan Spoon, and Richard LaGrow; second grade students Angelina Douglas, Konner Moody, Izabella Bogardus, and Aidan Collins-Wheeler; third grade students Curtis Taylor, Anthony Alfano, and Justice Ramacus; fourth grade students Annabel Boyer, Hailly Bourlier, and Austin Lane; fifth grade students Samantha Humphrey, Paige Pierce, Chelsea Barker, and Autumn Beechner; and sixth grade students Fisher Whittier, Luke Kimball, Nicholas Noel, and Haley Bort. The Fulton City School District’s behavioral expectations include: Be Safe, Be Respectful, and Be Responsible. Fairgrieve Elementary also includes the expectation of Be a Problem Solver. 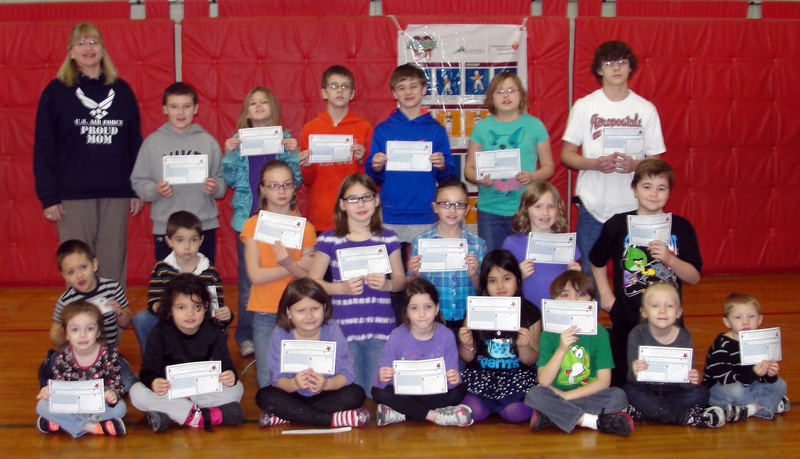 Fairgrieve Elementary School students selected for representing the behavioral expectation Being Responsible were recently honored during the school’s Morning Express program.